At the beginning there was an idea: In cooperation with the Bikepark Samerberg we wanted to build a flowline for surfing trails on our homemountain. But as so often in life, everything turned out differently. 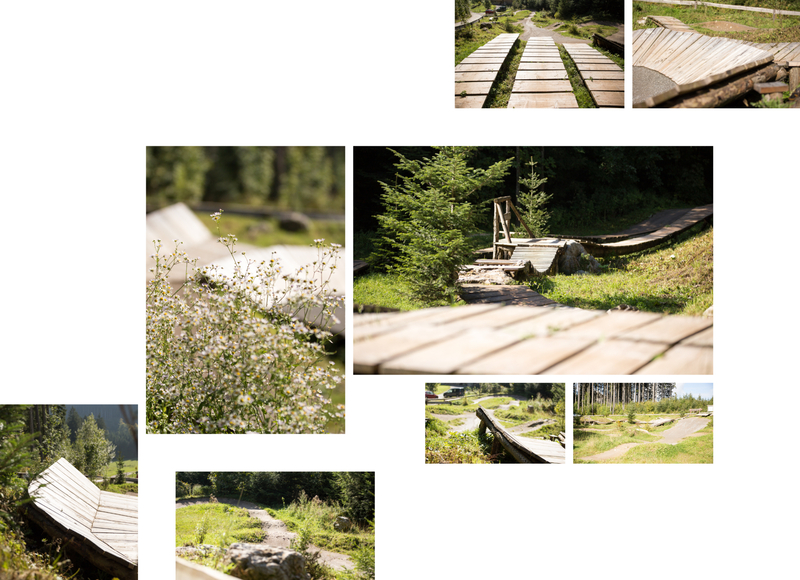 And thus there is the "Maloja Bike Playground" since 2015. 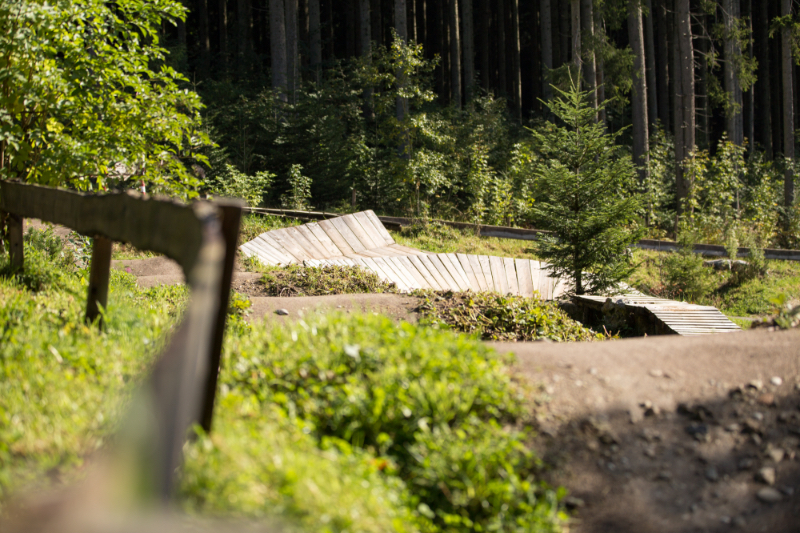 As the name implies, a playful access to freeriding should be made at this location at the mountain station of the Bikepark Samerberg. The course consists of moorings, seesaws, balancing beams, suspension bridges and bumps in a "Northshore Light Version". Here beginners and kids can approach jumping, cornering and find the right position on the bike. Who wants to tackle the matter professionally, can be supported by experienced bike guides. Otherwise, the place should be above all one thing: a meeting place for playing, practicing, watching or just chatting for young and old. EIncidentally, the bike playground was developed and planned by our athlete and mountain bike pro Guido Tschugg. He also insisted on designing the terrain himself with the excavator. The fine work in landscaping took over Seppi Rottmoser - also Maloja athlete and former world champion in ski mountaineering.